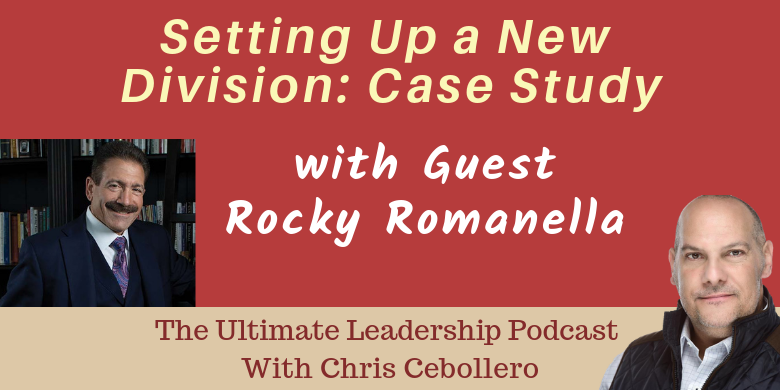 In this episode we are joined by Author, Speaker, and Coach Rocky Romanella. When scheduling a guest, we often do a precall to discuss show logistics, focus in on a topic, and hammer down a date to record. As we began our precall for the show, I was having a bit of a challenge with a new division I was setting up. Off handedly, I mentioned this to Rocky. He gave me some great solid advice, and helped me with a different understanding of what I was looking to accomplish. We thought it would be great to discuss that challenge in this special case study episode. Rocky shared his advice, and expertise in the steps of setting up a new division. In this episode, we are joined by 4 time Tedx participant, and World Class Speaker Bobby Umar. Bobby breaks down the process of developing, and preparing for delivery of a world class presentation. Bobby shares his experience on topic development, preparing for the lecture, combating stage fright, and how to engage your audience. This is a great opportunity for you to pick up some valuable tips from an experienced speaker. What happens when personal values conflict with organizational values in conflict? Connecting the past 4 virtues to build your ethical leadership toolbox. In this episode Chris is joined by resident media expert Sheryl Plouffe. Sheryl shares her experience as a TV on air personality to give us those inside secrets that lead to authentic communication. Is there such a thing as authentic communication? Do you need to use a script? What happens if you make a mistake? Join us for the answers to these questions and many more. In this edition of the Ultimate Leadership Podcast Chris is joined by our ethical leadership expert Dr. Charles (Chad) Weinstein. Chad shares his Ethical Leadership framework specifically the importance of developing competence. We touch on the topic of; What is competence, what are the features of practical wisdom, breaking down the barriers of developing competence and what role making mistakes play into developing competence? Join us for this great discussion. In this episode Chris is joined by our resident Human Resource Expert, Coach and Author Grace Killelea. Grace is the Principal of Grace Killelea Consulting who discusses Women’s Inequality in Business. Recently, Grace wrote a linked in article to counter a sexist post entitled, “Women Shouldn’t Have to Take Off Their Engagement Ring to get Hired”. Grace brings her experience to the microphone as she chats about the challenges women face in business, and shares her tips on what organizations can do to level the playing field for women. Grace also answers the question, what is sponsorship, and why sponsorship is a game changer for women. This is a conversation that needs attention, serious discussion and immediate change. Join The Discussion. Grace’s latest book; “The Confidence Effect” was recognized by Inc.com as a Top Business Book for 2016. In Episode 7 the tables turn on Host Chris Cebollero. The shows resident expert on Ethical Leadership Dr. Charles “Chad” Weinstein takes the mic, and interviews Chris on his #1 Best Selling Book; Ultimate Leadership 10 Rules for Success. 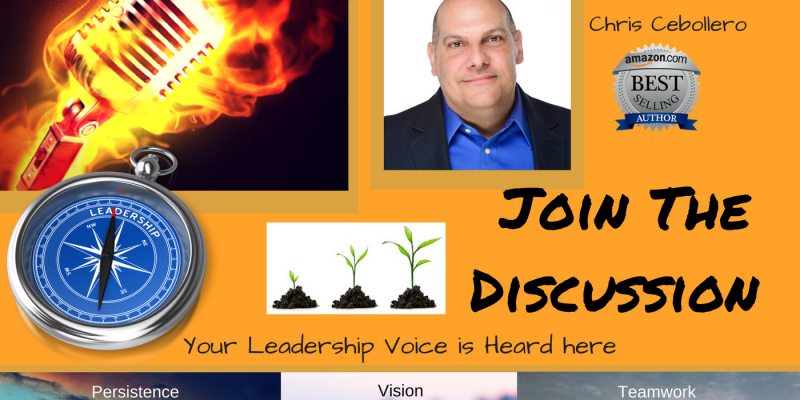 Discussions cover, the importance of the organizational vision, why making time for employees creates employee satisfaction, and find out the 4 questions Chris asks his employees to drive employee engagement. In episode 6 we welcome back Jim Angle to discuss the fundamentals of developing organization momentum. Jim is the founder and CEO of Practice Field Coach LLC and the Academy for MOmentum. He has been in the healthcare field for more than 25 years, leading hospitals and high performing teams, contributing to transformational change in people and organizations, and teaching and coaching many leaders. Check out the latest as Jim shares his tips in how to develop the needed momentum for organizational success. Check out Jim’s book, Spark Your MO; The Power of Integrated Effort. Episode 5; Examining The Difference Between Inspiration and Motivation? In this episode of the Ultimate Leadership Podcast Chris is joined by Author, Coach and friend Dr. Lynn Wicker. Lynn Shares her insight on the difference between inspiration and motivation, and shares her secrets on how to stay inspired and motivated. When we stay self-motivated, this keeps us on the path of success.